If you own a service company be sure to take time to read this great information. During your OSHA company meetings this would be a good article to share with your team. 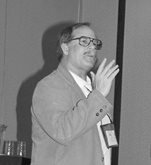 Rick Kaletsky, occupational health and safety consultant, outlined employers’ responsibilities under the Occupational Safety and Health Act at the National Chimney Sweep Guild convention in Hershey, PA. There are no excuses when it comes to complying with OSHA regulations, according to Rick Kaletsky. Rick Kaletsky is the owner of “Rick Kaletsky – Safety Consultant,” specializing in hazard recognition, site inspections and citation resolution. 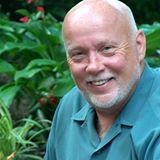 Before starting his own company, Rick was employed for twenty years by the U.S. Department of Labor, Occupational Safety and Health Administration where he served as an occupational safety and health specialist and assistant area director in the agency’s Connecticut offices. 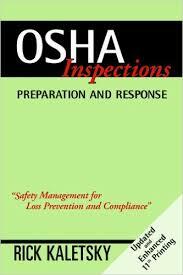 He is the author of OSHA Inspections – Preparation and Response, published by McGraw-Hill. Rick spoke before an audience of about one hundred chimney sweep business owners at the National Chimney Sweep Guild convention in Hershey, Pennsylvania. Safety starts legally and morally with the employer, Rick said. “You have to provide a safe and healthful workplace. You have to train people. If they don’t know what to do and they don’t have the right equipment, you can’t expect them to be safe. “You want to make sure that everything is safe. Every thing. Everybody. Every minute! Rick acknowledged that chimney professionals probably have a different comfort level working at heights than the average person. But he urged us not to become complacent about our safety or overconfident about our skills. Holding up a newspaper clipping showing a sweep standing on top of a chimney in a typical publicity pose, he exclaimed, “I just can’t believe it has to be this way! “I don’t care how tough this guy is or how smart he is. Why can’t he get a little kink in his knee? If he does, he goes down! “Then somebody gives some BS that it’s a ‘freak accident.’ It’s not a freak accident. To do what this gentleman is doing is absolutely nuts! Just think about his family! The Occupational Safety and Health Act, passed in 1970, requires employers to provide employees with employment and a place of employment free from recognized hazards that are likely to cause death or serious physical harm. The U.S. Department of Labor, Occupational Safety and Health Administration handles enforcement in a little more than half of the states. The other states have chosen to handle their own enforcement. Their programs must be at least as stringent as federal regulations. The law applies to any equipment in a workplace that has employees. “If you have anything that’s rented, leased, belongs to the homeowner, is old, is new, is stolen, you borrowed it – if it would be encountered in work by your employees, which could include yourself, it is yours,” Rick emphasized. “What attracts OSHA to the worksite?” is a question that Rick commonly hears from employers. Although there is a list of items that includes complaints from employees and special emphasis programs, he strongly urged business owners to concentrate on employee safety, not on “beating” OSHA. “Don’t you want to protect your workers all the time?” he asked. “You don’t want to even worry about accident investigation. It’s more sensible to talk about accident prevention. “You may not have an OSHA inspection for thirty years,” Rick said. On the other hand, they might visit your business tomorrow. Company personnel should greet OSHA inspectors courteously and professionally and “make sure you see their credentials,” Rick advised. “Make sure you know who you are dealing with. “They don’t think of themselves as cops, but if a $100,000 penalty can be imposed I would say they are law enforcement,” he reasoned. After you’ve determined who you are dealing with, introduce the inspectors to the person in charge. The person in charge should also check the inspectors’ credentials, Rick suggested. Remember that you are dealing with human beings. “You might have someone who if you push him the wrong way, his eyes get bigger,” he cautioned. “Or for that matter, you might have someone who came from a job the day before where someone lost an eye. OSHA will take photographs and may take measurements or samples. They may take a look at your training, injury and illness records. OSHA may talk to your employees privately. “You are not allowed to ask them what was said,” Rick warned. Allow complete access, Rick advised, but if somebody needs to get something done right away, let the inspectors know. “That’s okay to do,” he said. “It’s still your workplace.” However, he said it is unlikely that OSHA inspectors will postpone or cut short their visit for any but the most extraordinary reason. Don’t pretend that you know it all. “Screwing up is okay. It doesn’t mean that you aren’t going to get a citation. But it’s a lot better than ‘We know everything here.’” If you know so much, if the inspectors find something wrong OSHA will assume you intentionally tolerated a hazard. “That’s where you get into serious money” if you are fined, he warned. If you are able to point out mitigating factors that will show OSHA that it is “not as bad as looks,” then “defend yourself,” Rick encouraged. Be sure you are wearing any necessary safety equipment during the walk around. • Ladders. Keep ladders away from overhead lines. Be careful how you move a ladder around so you don’t pull a muscle. Get help if you need it. Do not cover any labels on the ladder. Be sure the ladder has the capacity for your load. Set it up at the appropriate angle. • Scaffolds. Watch out for overhead wires when setting up the scaffold. “In most cases, when you get to 10’ high on a scaffold, you must have perimeter protection,” Rick noted. “We’re talking about a mid-railing about 42” high.” Be sure the scaffold is set up on a stable, level base. • Electrical. 110 volts or 220 volts can kill. Avoid exposed live parts. Portable electrical tools must be grounded or double insulated. Temporary power sources should be equipped with Ground Fault Circuit Interrupters (GFCI). • Ergonomics. “It’s very important to be flexible and warm,” Rick noted. Avoid twisting motions while lifting. • Protective equipment. Employers are supposed to assess the need for protective gear on any given job. Protective equipment may include eye protection with the right kind of lenses, frames, and side shields; gloves; knee pads; safety shoes; and ear protection. • Respiratory protection. Respirators should fit tight to the face. • Fire extinguishers. Keep an appropriate, properly charged fire extinguisher handy. Train your employees to use it. “Sweep the base, do not knock down the flame,” he recommended. • First aid. “If you don’t have access to an open hospital, clinic or infirmary in a hurry, you need trained first-aiders,” Rick insisted. Check the expiration date on items in your first aid kit and replace any outdated items. • Be sure that long hair, jewelry, sleeves and shirt tails don’t catch in drills, blades and other power tools. • Make sure tools are in good condition. • Separate the cargo area of your vehicle from the passenger area as a dust control measure and so that tools and equipment can’t fly up and hit the passengers or driver in an accident. “If you tie off, you want a personal fall arrest system,” Rick stated. “The anchor is the most important thing.” You must tie it off while using an articulating boom. Jim continued, “If we start doing fall protection – I know what the law says – I’m going to double my time on the job. I’m going to expose my guys to more hazards setting all this rigging up, compared with training them how to walk on a roof. The economics of it is that I’m going to be charging twice as much as my competition and I’m going to go out of business. Fall protection drives me nuts!” he exclaimed exasperatedly. Rick suggested that the National Guild should lobby with the code bodies for a provision that would require installation of a tie-off anchor point in new construction. 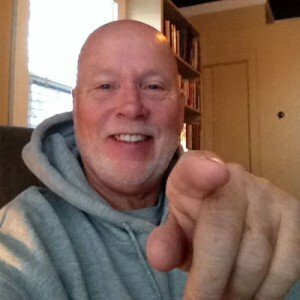 If someone gets injuries, you find out why they are getting hurt, Rick advises. “If Johnny gets hurt three times, maybe he needs retraining. Does he have an unsafe job, or unsafe equipment? Is he drinking? Does he have a bad leg or bad eyes? Does he have a bad attitude? You need to get to the root of the problem. “No one should ever be disciplined for getting hurt,” he adds. As for the opening conference, provide a quiet, comfortable setting. Listen carefully to what the inspectors have to say, repeating their words for clarity. OSHA will discuss methods of correction and provide a deadline for correction. There is an appeal procedure available if you disagree with OSHA’s decision. You can find standards on the OSHA website, www.osha.gov. “It would be a good idea to purchase the construction and/or general industry standards,” Rick suggested. Rick covers this topic in much greater detail in his book, OSHA Inspections: Preparation and Response (Updated for 2002), available from him directly at 203-393-1233 or rkaletsky@aol.com. Thanks so much to Jim Gillam for this very informative reporting ! “ . . . if your not reading SNEWS maybe the question is, why not?